The Praying Moms Ministry represented by Francesca Cornibert received $1,500 from the bank represented by Michelle Whitelaw. CIBC FirstCaribbean International Bank has made several presentations to assist organisations with advancing their work and responding to the needs of households vulnerable to fire, persons with chronic illnesses, and mothers in need of financial assistance. The Praying Mother’s Ministries Network received funds, which are being used to buy food and pay utilities bills of families in need. The ministry also plans to host a fundraising breakfast this month for back-to-school supplies. Founder and president Francesca Cornibert said the ministry’s greatest need was the provision of financial assistance for mothers. The Barbados Fire Service was also thankful after it received monies to purchase 90 smoke alarms for distribution to vulnerable households throughout the island, including to elderly persons living alone and persons with disabilities. Speaking about the importance of the fire service’s outreach programme, to which the bank has contributed in the past, station officer Mayers said that with the installation of smoke alarms elderly persons and persons with disabilities were a little less vulnerable because their neighbours could also hear the alarm and offer assistance. Some of the alarms have already been distributed and installed. Up to the end of June this year, the fire service received 56 calls to respond to house fires compared with last year’s 44 for the same period last year. Donna Wellington, managing director, Barbados, CIBC FirstCaribbean (left) speaks with Sandra Simmons of the Hope Foundation after presenting the foundation with funds to support its education and outreach on chronic diseases. the latest treatments and medication for the management of chronic illnesses such as lupus, arthritis and sickle cell anaemia. Stating that Barbados records the second highest incidence of lupus in the world, president of the foundation, Shelley Weir, said this had reinforced the need for the foundation to continue its work. “If not for the ongoing support of entities like CIBC FirstCaribbean the Hope Foundation wouldn’t have survived for as long as it has. We’ve not escaped the axe due to the economic climate and our subvention was cut. So we’re truly thankful for the bank’s support,” she said. 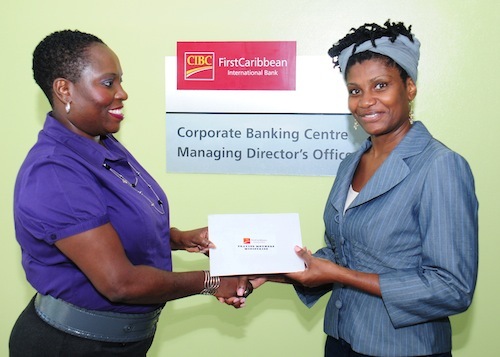 CIBC FirstCaribbean managing director, Barbados Donna Wellington said the bank was delighted to continue its outreach.